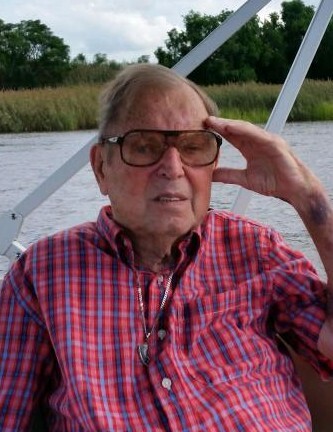 Jimmy Lee Simpson, 83, passed away peacefully with his loving family by his side on Saturday March 30, 2019 at his home in Georgetown, South Carolina. He was born on August 19, 1935 in Asheville, North Carolina to the late Howard Lee Simpson & Elizabeth Herron Simpson. Along with his parents, Jimmy is reunited in death with his sister & brother in-law, Marilyn & Bud Lunsford as well as his nephew, Keith Lunsford. An outgoing man, Jimmy proudly served his country in the United States Navy. Following his honorable discharge in 1958, Jimmy was able to travel and see the world. He was privileged to travel not only the lower 48 of the US, but also Egypt, China, Peru, India & Thailand to name a few. In his free time, Jimmy was an active member of the VFW Post 6444 of Georgetown. Above all else, Jimmy loved his family. Left to cherish Jimmy’s memory are his beloved wife, Reta P. Simpson of Georgetown; their son, Dwaine B. Simpson and his wife, Woody, of Surfside Beach, SC; several nieces and nephews and their families; special friends, Marcy West (Azin) & Marty Sharpe (Ricky); a large, loving, extended family; and many supportive friends and neighbors. A Celebration of Jimmy’s life will be held on Sunday April 7, 2019 between 2:00pm – 5:00pm at Maryville Social Hall, 2009 Fraser St. Georgetown, SC 29440. At the request of the family, memorial contributions in Jimmy’s name may respectfully be made in lieu of flowers to the Alzheimer’s Association, 225 N. Michigan Ave., Fl. 17, Chicago, IL 60601 or to the Wounded Warriors Project, 1990 Fordham Drive, Suite 100, Fayetteville, NC 28304.